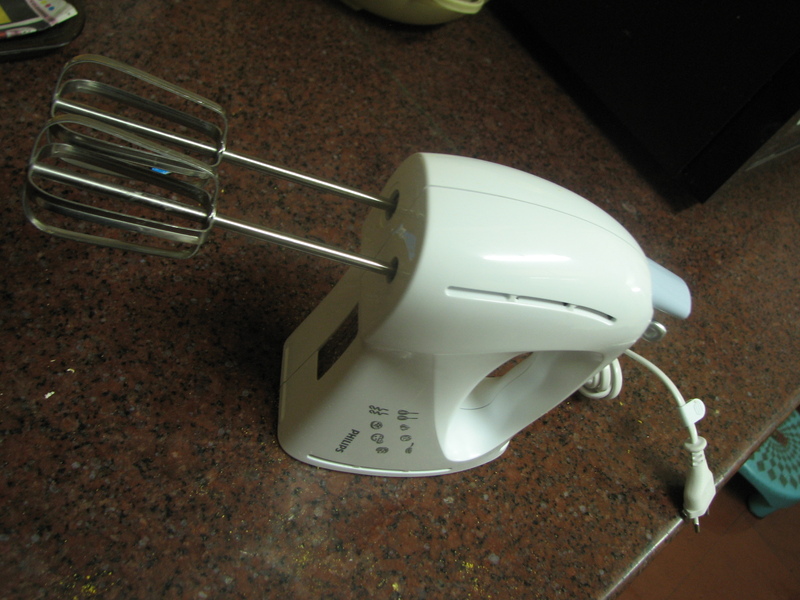 Hand blender ( its easy to whip cream with the help of hand blender). 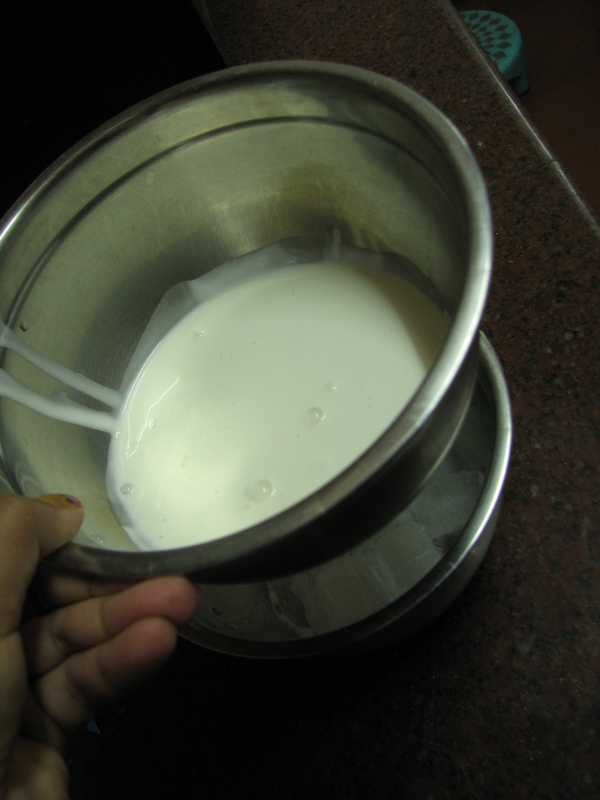 Put the ice cubes in one bowl and full fat cream in another bowl. 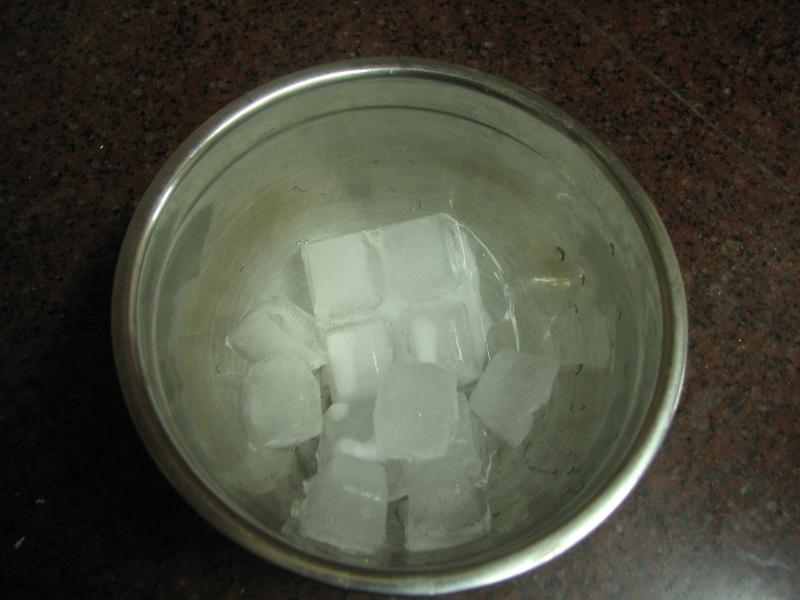 Now place the cream bowl over the ice cubes bowl, as shown in picture. 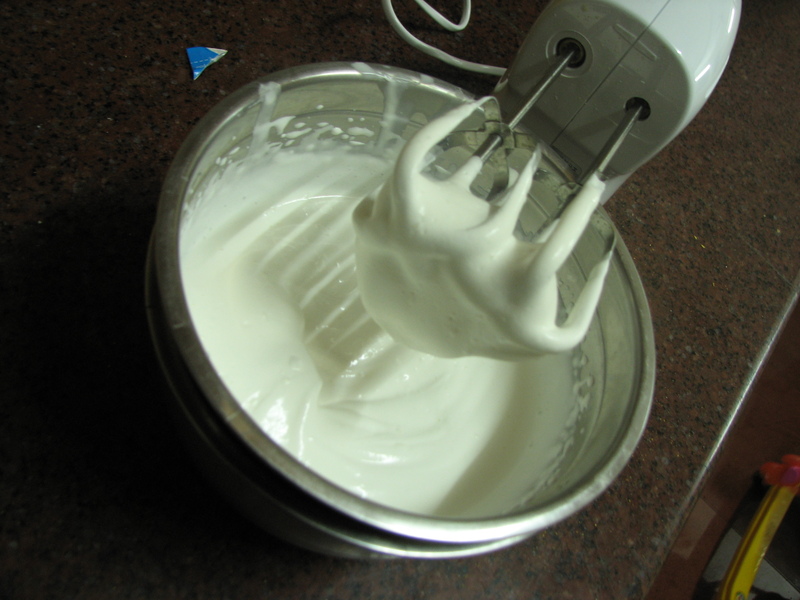 With the help of hand blender whip the cream for 10-15 min. 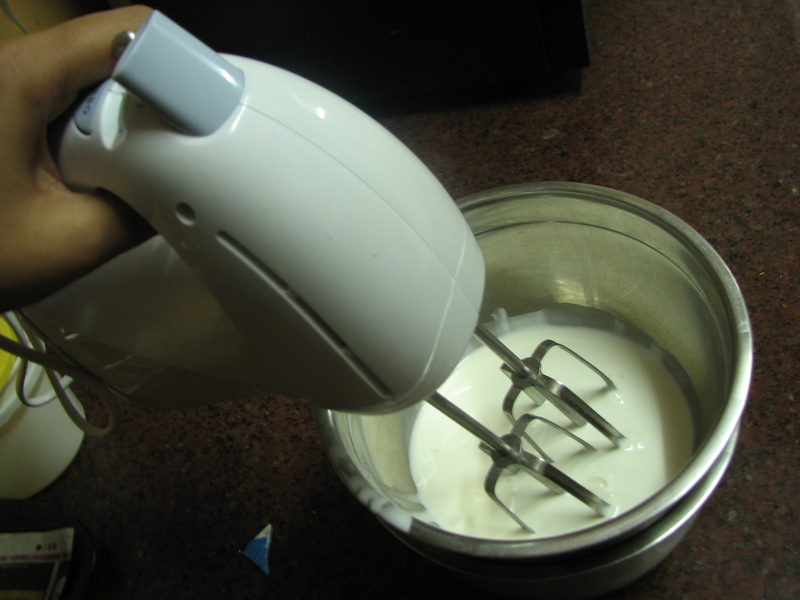 After 15min check the consistency of cream, it should be thick enough to get stick with blender’s blades, as shown in picture. 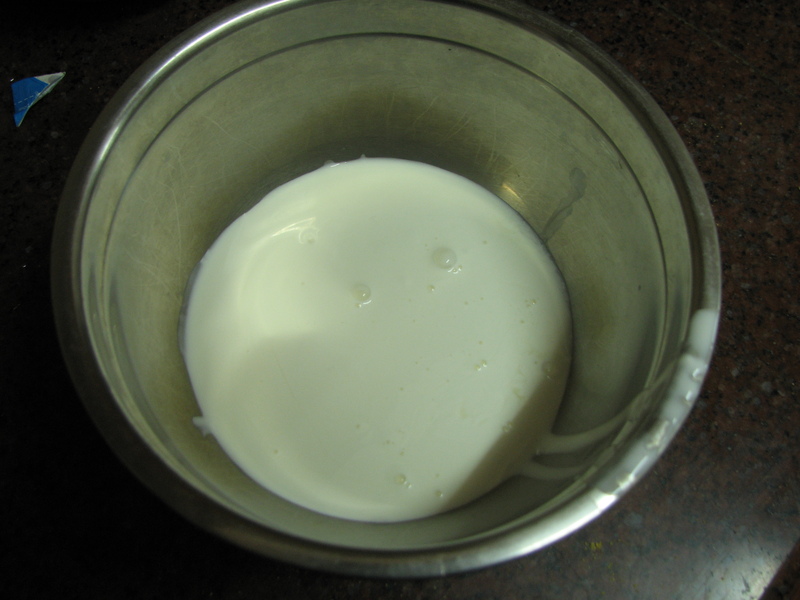 And now fresh whipped cream is ready to use.